Flaky crust. 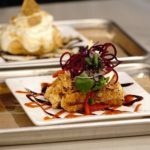 Sweet or savory fillings. 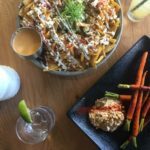 The perfect comforting bite. 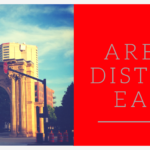 Everyone loves pie, and fortunately for us Columbus residents, we’ve got some excellent options to satisfy that craveable treat wrapped in delicious dough. Here’s some local pies that I always adore. Affectionately known as “crack” pie (because it’s just that good), The Pearl makes varying pies in house but this one has the rest beat. Oatmeal cookies pulverized into crumbs create the crust, and the filling is buttery and rich with caramelized brown sugar. It’s almost too rich to enjoy by yourself, but I seem to manage every time. 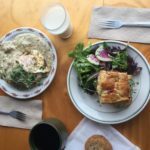 On the savory end of the spectrum, Lineage Brewery churns out a not-so-expected twist: the handpie. The center of scrambled eggs, sausage gravy, and cheesy potatoes is enveloped by hand rolled crust and dished up with cooked apples on the side. 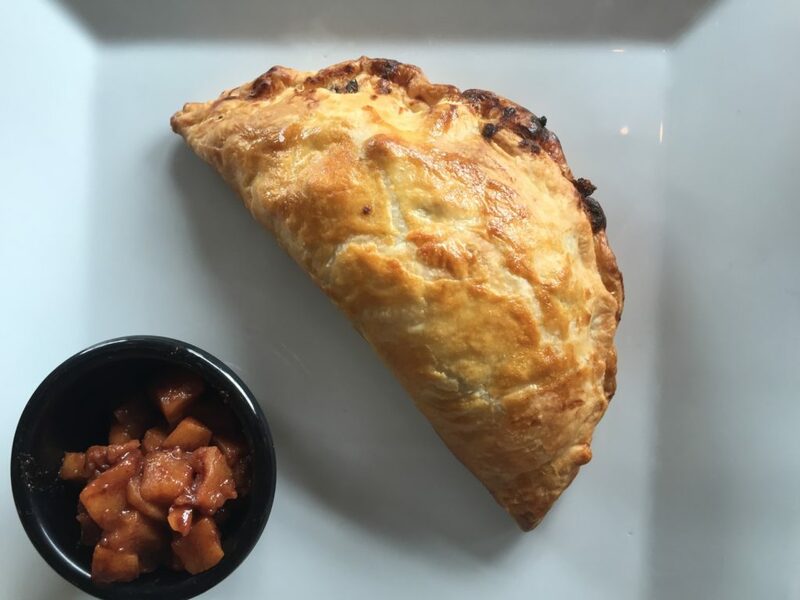 It looks like a kind of “breakfast calzone,” and pairs perfectly with Lineage’s beer offerings to kick your brunch off right. 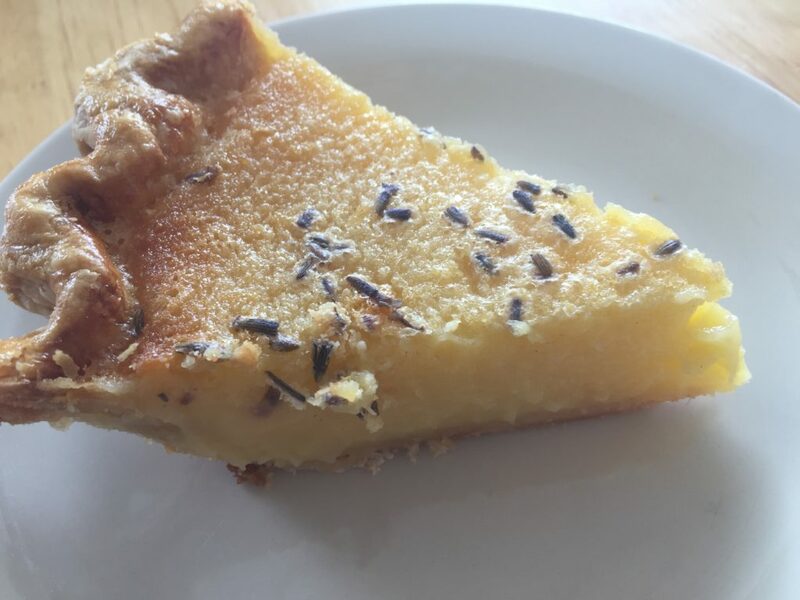 All of the baked treats put forth by this Clintonville locale are utterly delightful, but none can melt my heart like the Lemon Lavender Chess Pie. Sparkling with citrus brightness and that unexpected floral lavender touch, the filling is luscious, creamy, and makes your mouth pucker just enough. 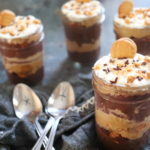 Be sure you track down this seasonal dessert! Chocolate in a pie is always dark and decadent, but with Bake Me Happy’s version, it’s so indulgent you won’t believe it’s gluten-free. The pies come in numerous sizes so you can get your chocolatey custard fix in the ideal amount. Check out their site to see where to track down their goodies. 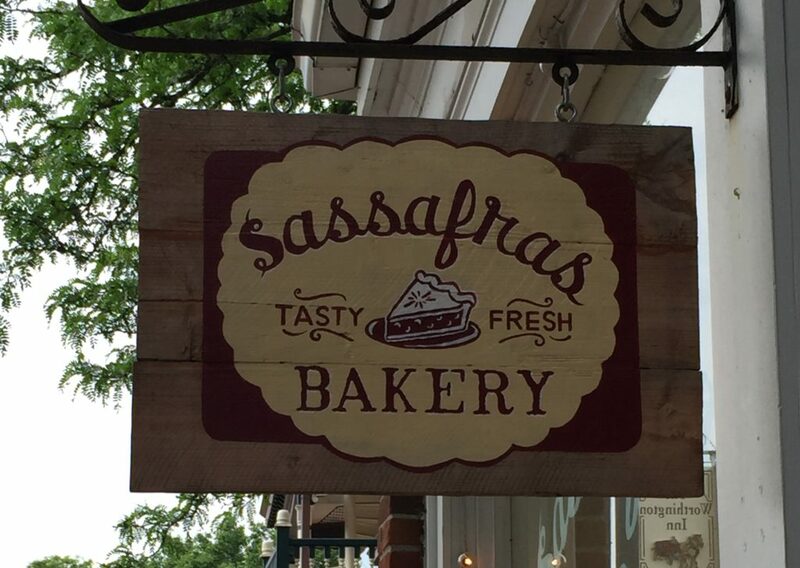 For a classic, all-American pie, I’m crazy for the cherry pie at Sassafras Bakery. The tangy-tart cherries give just enough pop to balance out the sweetness, and it’s a perennial crowd-pleaser. This traditional spin really takes the cake (or pie). Does fruit pie even exist if it doesn’t have a lattice top and crimped double crust like this one? Make sure you catch it in season. Where do you get your pie fix? Is sweet or savory more your style? Let me know in the comments below.